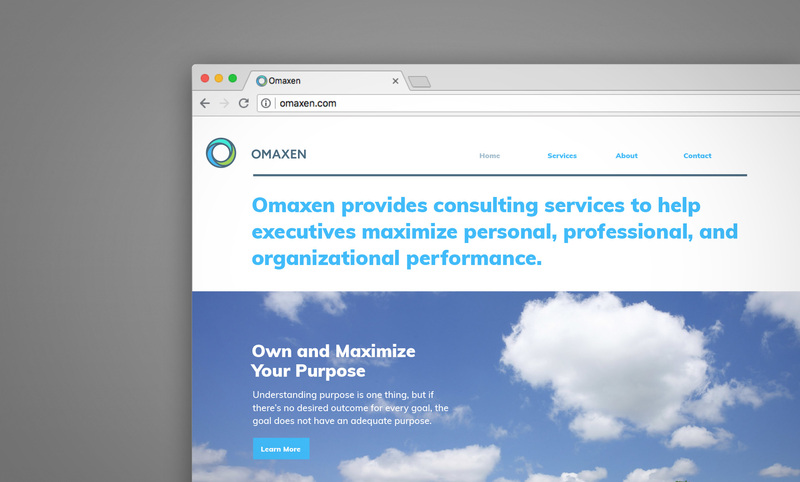 Omaxen helps startup founders and entrepreneurs own and maximize purpose, wellness, and performance. 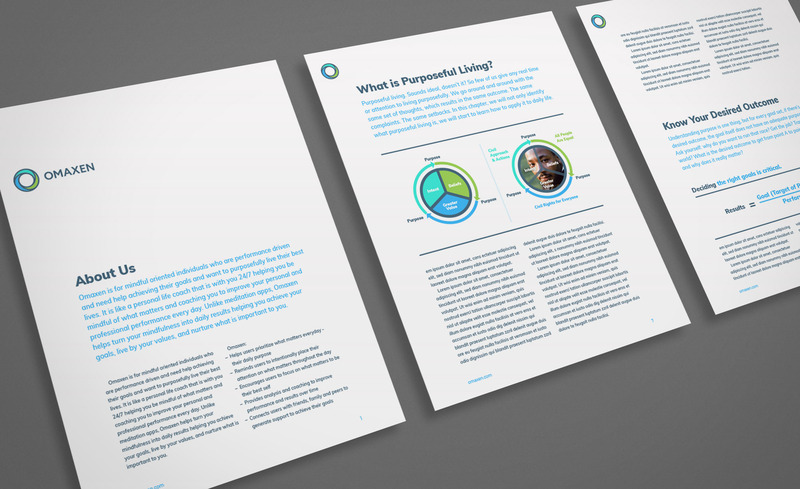 The consultancy uses tried-and-true practices to break down lessons and principles to help people lead and live more purposefully. The client had some very specific requirements. First was an O symbol that could be “built in” to the word or used separately. 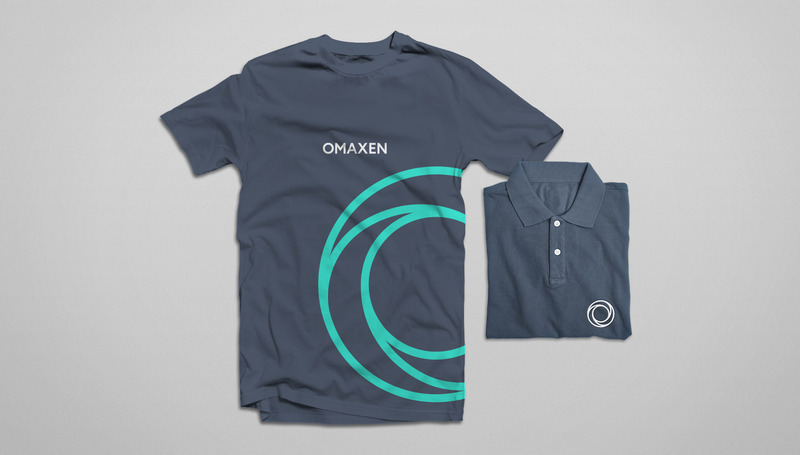 Second, since they planned to get people excited about the company and encourage word-of-mouth through branded items, so the logo needed specifically to look great on things like wearables. 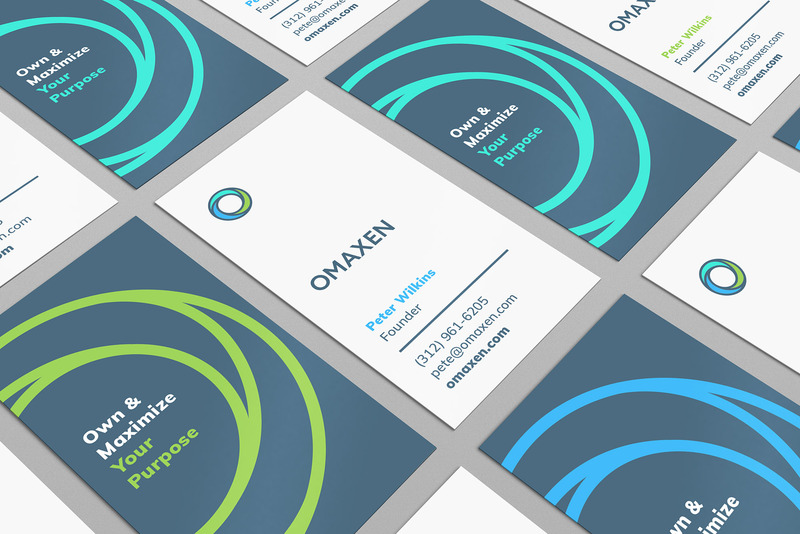 Lastly was a comprehensive look and feel to unite all the company’s output—including numerous white papers and other published thought leadership.